We have all either seen, been, or wanted to be the person who has all of those little gadgets and gizmos plastered on to their trumpet. 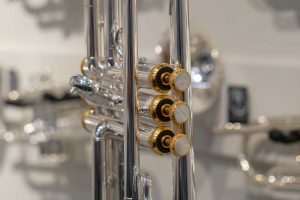 The cool leather valve guard… The hair tie to secure your 3rdvalve slide… The mouthpiece receiver-hugging BERP… All of these items, and many more, have amazing benefits and should be used to their full potential. However, let’s think for a second about how these additions may be affecting the sound of your instrument. 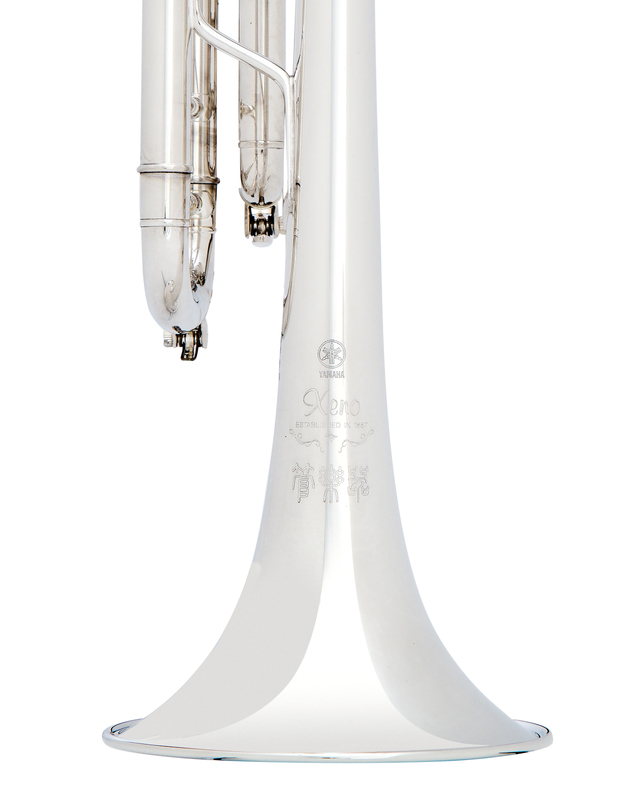 Last week we featured the Limited Edition “Kangakki” Xeno Trumpet. 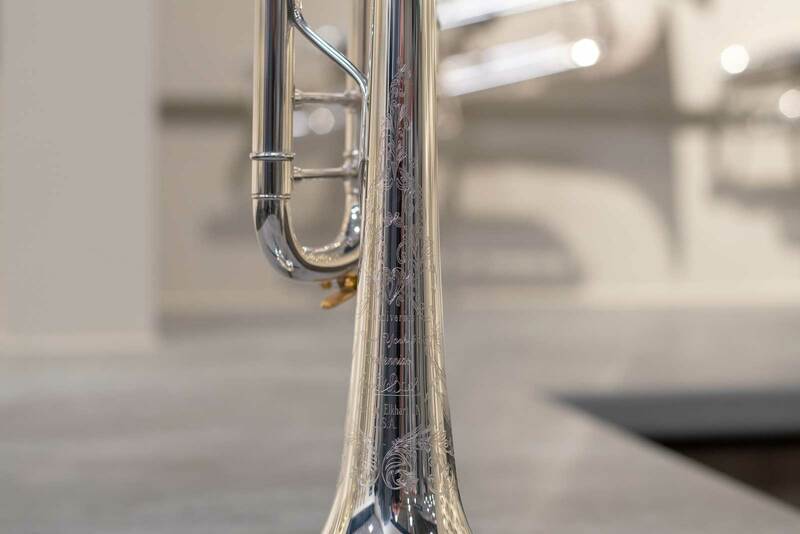 This week we are taking a look at another new offering in the Yamaha trumpet line-up, the second-generation Bobby Shew Signature Trumpet, YTR8310ZII. 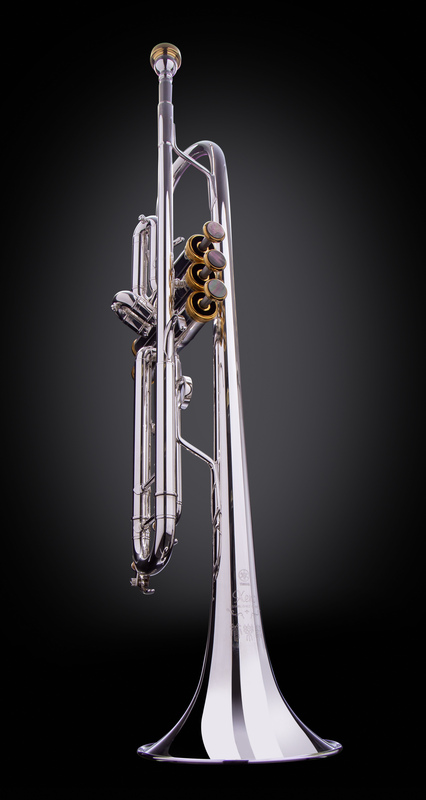 The Z model trumpets, released in 2004 and developed in cooperation with world-famous trumpet player Bobby Shew, have been Yamaha’s top jazz trumpet model. This newly revised model introduces the latest Yamaha structural technology and other features refined through tireless evaluations by Bobby and the Yamaha Research & Development team. 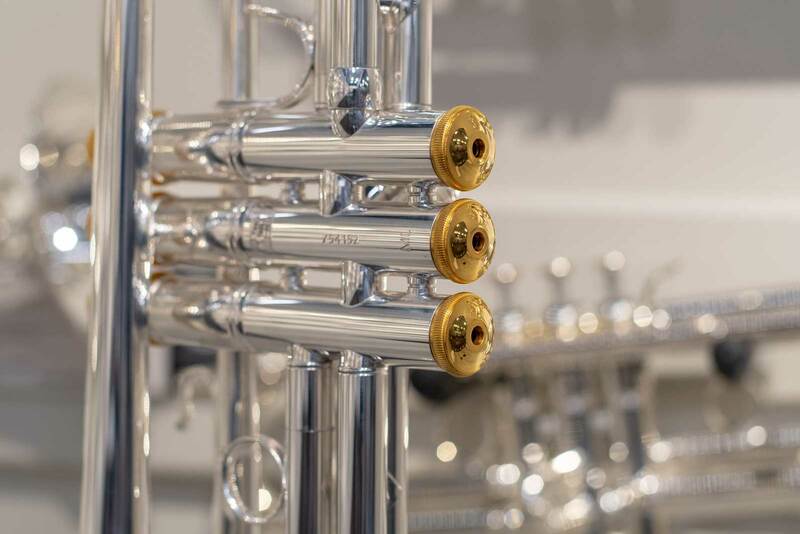 The new 8310ZII has been refined to give players a more flexible instrument to meet the changing needs of modern trumpet players. 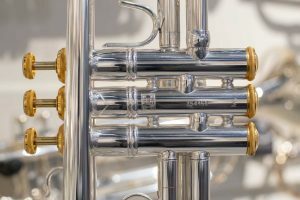 From solo performance to lead in a big-band, this extraordinary instrument delivers brilliant tone and great power with a solid tonal core for all types of commercial trumpet playing with particular improvement of support for upper-register playing. 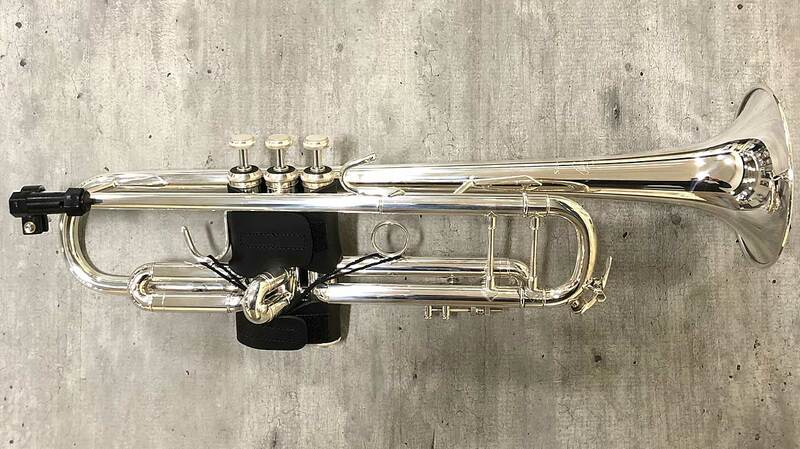 This model is a great lightweight horn designed for jazz and commercial playing making it a great addition to any serious jazz or lead trumpet players arsenal! We had the opportunity to see the new model in person at NAMM this past January. Check out some footage we grabbed above! Unveiled at the NAMM show just several weeks ago, the limited edition Yamaha Xeno “Kangakki” has arrived at Paige’s Music. 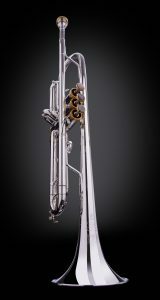 Even more exciting is that there are only 100 of these trumpets available in the United States! Based on the acclaimed YTR-8335IIS Xeno, the Kangakki is truly one-of-a-kind with gold plated accents on the valve caps, valve buttons, black mother-of-pearl finger buttons, and a 16C4 mouthpiece with gold plated rim and cup. 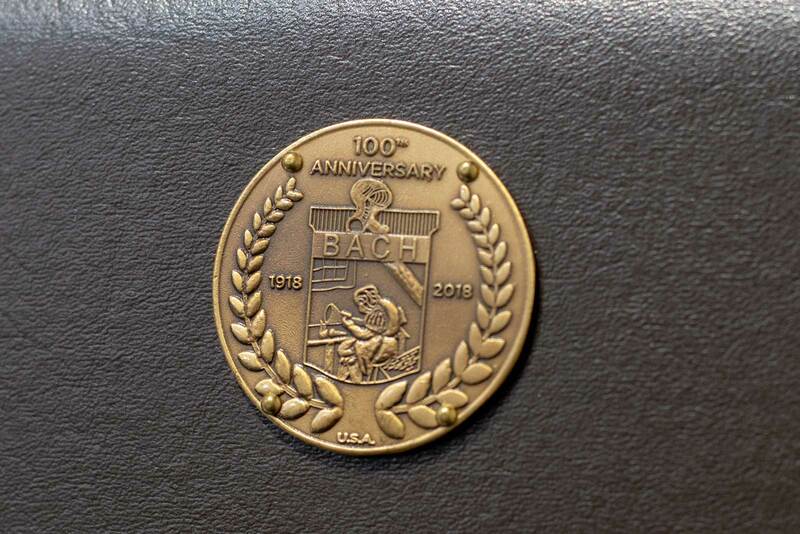 Finally, the “Kangakki” bell engraving adds one final touch that symbolizes “the highest quality of instruments for musicians of any level”. 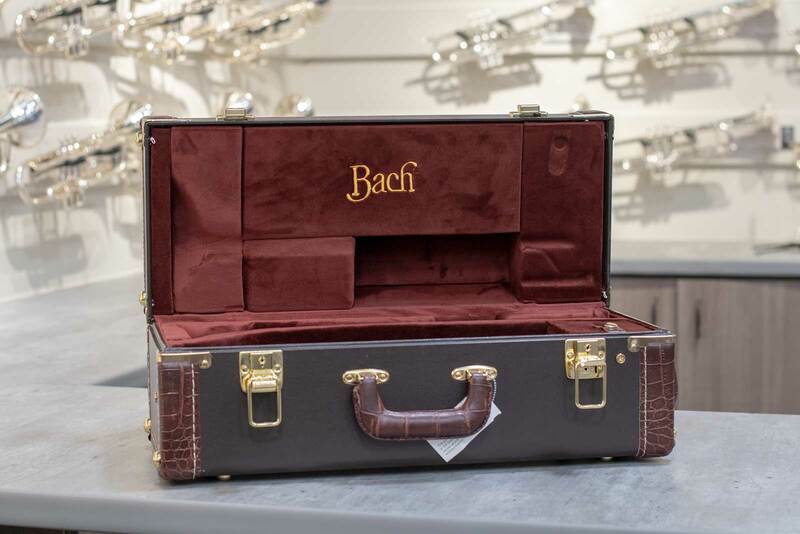 Double case with backpack straps. For inquiries, please contact Ross Werner, Trumpet Specialist at Paige’s Music. Hello, everyone! 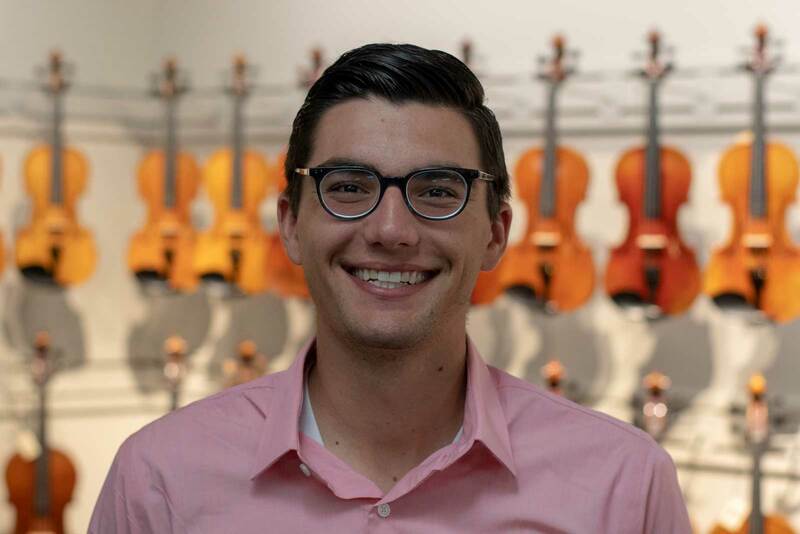 My name is Ross Werner, and I am the Trumpet Specialist here at Paige’s Music. My relationship with Paige’s began like most students in Indiana when I followed my parents into the Greenwood High School Band room to get fitted for an instrument during my 5thgrade year. I distinctly remember really wanting to be a percussionist, but Mr. Kalugyer was not hesitant in telling me that I should stick to trying out the trumpet. Turns out, I guess he made a pretty good choice for me! After my time at Greenwood High School, I went on to pursue and complete a degree in Arts Administration with a Music focus and Marketing Minor at Butler University from 2014-2018. During that time, I was fortunate enough to spend 4 years touring the country through Drum Corps International. In 2014, I played trumpet in the Phantom Regiment Drum and Bugle Corps based out of Rockford, Illinois. I then spent the next three summers from 2015-2017 as a drum major for Carolina Crown Drum Corps from Fort Mill, South Carolina. My time at Butler also presented me with outstanding musical experiences, including four years as part of the University Wind Ensemble under the direction of Col. Michael Colburn and in the trumpet studio led by Allen Miller. In addition to my work at Paige’s, I am also a freelance graphic designer doing work mostly for band programs across the country in order to provide digitally-printed props and floors, social media graphics, multimedia productions, apparel designs, and more! During the Summer/Fall months, I am also an instructor for the marching band at Avon High School. I am super excited to get things rolling for my position here at Paige’s! Some of these things include getting to work with students and schools throughout the year, helping students and adults find their “forever” instruments, developing relationships in and around the community, and continuously learning about all things trumpet/music. 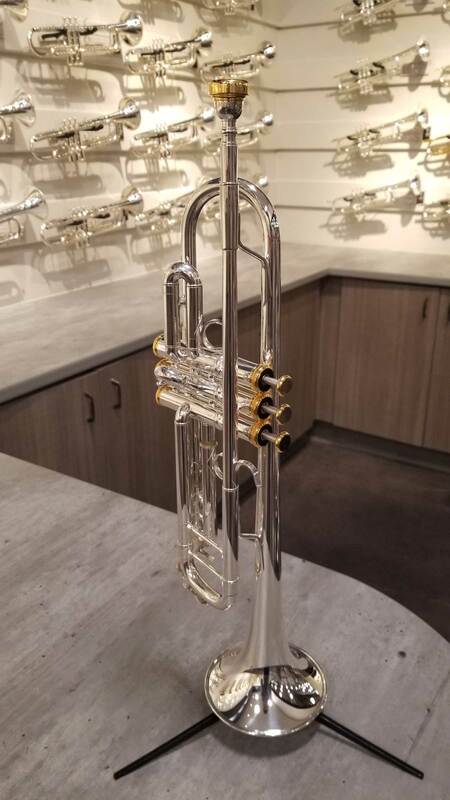 Anyone is more than welcome to visit our store and try out any/all of the trumpets we have here in the store. It is my goal to not only provide quality information, but a quality experience for anyone who is looking to invest in an instrument, from beginners to professionals. If you have any questions at all, feel free to contact me and I would be happy to help any way possible! What is a Reverse Leadpipe? 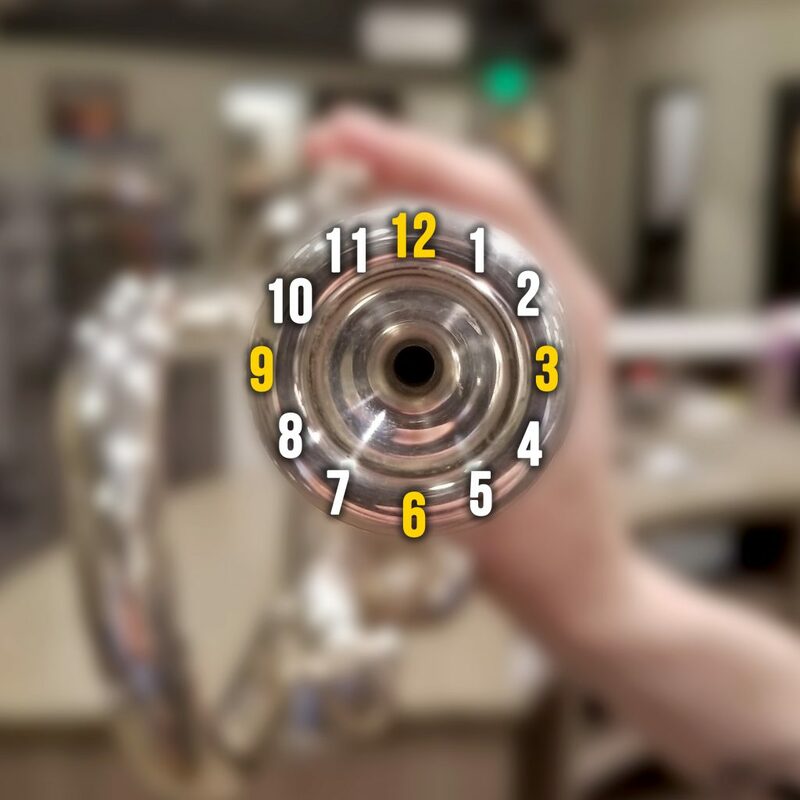 A trumpet player’s guide to determining the perfect fit. 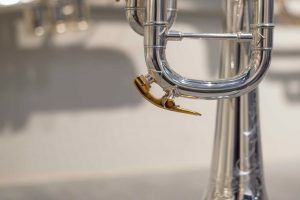 While searching for the perfect new trumpet, many customers encounter the dilemma of, “Well this horn has a standard leadpipe, but this horn has a reverse leadpipe. What’s that difference?” Thank you for asking! 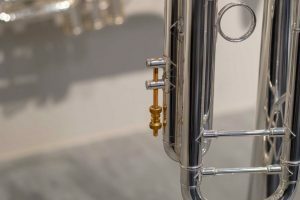 A leadpipe on any trumpet is the main receiver for the instrument in which the mouthpiece fits into, and connects to the main tuning slide. 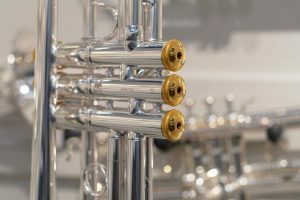 The means in which the leadpipe connects to the main tuning slide is what constitutes the term “standard” (non-reverse) or “reverse”. 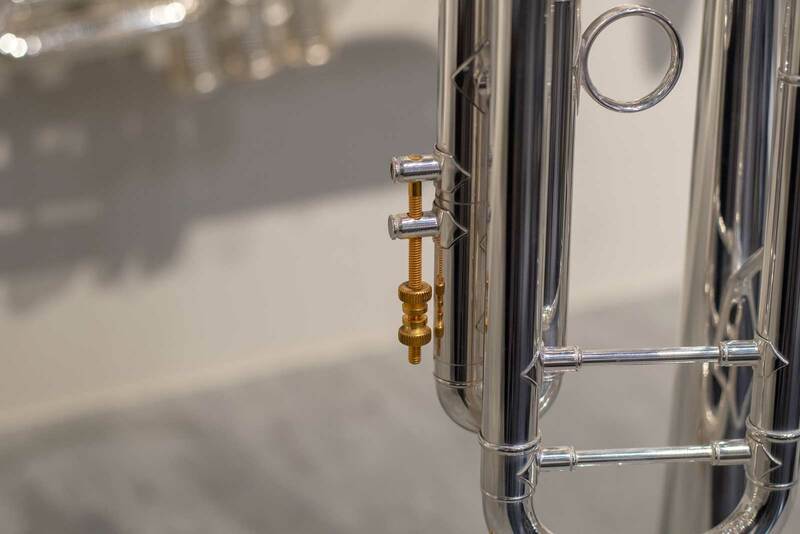 For standard leadpipes, the main tuning slide fits inside of the leadpipe as pictured below. Players who are mostly playing at loud volumes usually prefer the standard option as there is less variance in the quality of sound at those levels compared to the reverse leadpipe. Reverse leadpipes are simply the opposite, in which the leadpipe fits inside of the main tuning slide. A reverse leadpipe will likely be noticeably longer than the standard option. This factor increases the distance in which there will be any small gap going from leadpipe to tuning slide, resulting in what most players describe as less air resistance and more consistent intonation. Ultimately, what is best for you will require being able to compare several options side by side in order to determine what instrument feels, plays, and sounds the best based on your own personal style. For those in the market for a new trumpet, you are in luck! 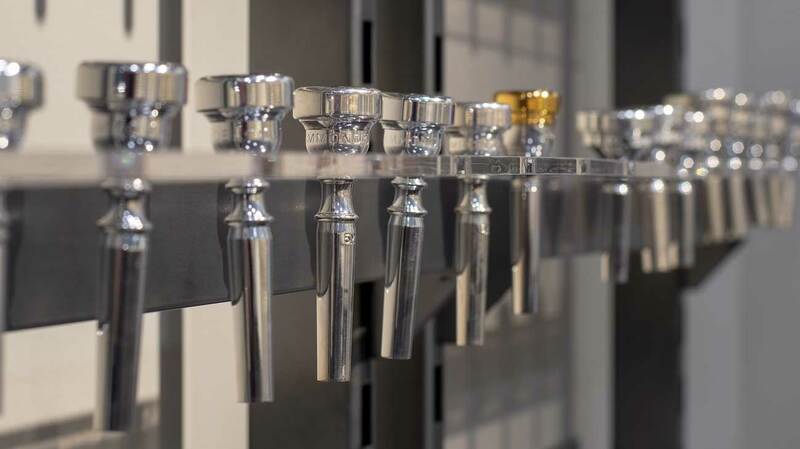 Here is a list of our trumpets here at Paige’s, sorted by leadpipe designation. 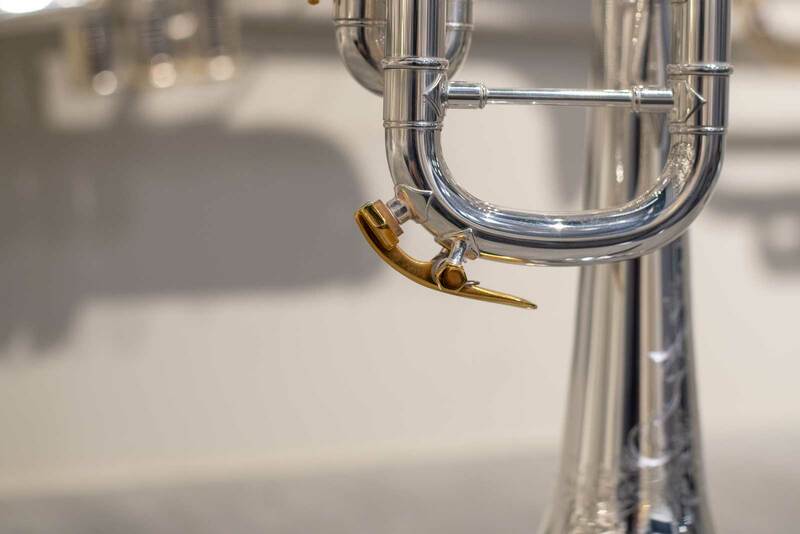 All customers are more than welcome to come in and try out all of the horns in our store at any time in order to find his/her best fit!